AFN practitioners have all done a foundation post graduate training for integrated support. Our training is to ensure that we have a fully versed understanding of western protocols and procedures, with a clear understanding of the NHS gynaecology and referral systems. Our aim is to support you in your fertility journey, to support your choices and wishes and where ever possible enhance your fertile capacities and to nurture your sense of well being throughout your experience. TCM refers to Traditional Chinese Medicine. This differentiates us from our western colleagues who practice Medical Acupuncture. TCM has its own theory basis. The diagnosis and treatment of TCM are based in understanding our physiology and psychology in respect of the meridian systems. TCM is a term used to encompass both acupuncture and Chinese herbal treatment, and also includes moxabustion (a herb we smoulder over the acupuncture points), cupping, and tui na (Chinese massage, pronounced twee nah). Diet and lifestyle advise is also a regular part of acupuncture treatment, guiding you to the best sort of foods and exercise and rest that will improve your well being, according to your TCM constitutional diagnosis. All AFN practitioners are acupuncturists, who will all use moxa and cupping as part of treatment if appropriate, and will support you with diet and lifestyle advice according to your constitutional diagnosis. All of these treatment aspects are TCM. Some practitioners will also do Chinese herbs, and some may also do tui na. Acupuncture and Chinese medicine is beneficial to help prepare your body for conception - for all aspects of assisted conception and for natural conception. Many people choose acupuncture because they would like to avoid assisted conception, some because they have heard it is a beneficial support during assisted conception, and others because they have tried everything else and want to fully explore all the options that may help them to conceive. Whatever the reason you are looking for support - if you are just at the outset of trying to conceive, if you have been trying for some time, if you are just embarking down the assisted pathway, or if you may have had multiple assisted experiences - acupuncture support may be an excellent way to help to bring you into better balance, wherever you may be in your fertility journey. Our aim is to help to bring you into a better state of health for conception and gestation, optimising you for pregnancy and parenthood. A calm emotional state is very important for healthy conception. Trying to conceive may be fraught with many conflicting emotions ranging through hope, frustration, hope, anger, hope, guilt, hope, sadness, hope, grief... a veritable rollercoaster. Balance is the key word. The constant emotional switching can be very disruptive to hormonal feedback loops. By allowing your body to relax during your treatment, you may aid the endocrine function to bring your hormones into better function. It is vitally important to recognise the role that stress has to play in the conception process and how you can benefit from acupuncture during pre-conception. When we experience stress, our reproductive hormones, amongst other things, can shut down. Stress over a sustained period of time can have significant impact on our sexual function and our fertility. When cortisol levels remain too elevated this may develop into sleep disturbance, anxiety, depression, fatigue, digestive problems, tension headaches and may easily manifest as gynaecological dysfunction. Fertility issues, particularly assisted conception, are often fraught with both physical and emotional stresses. Recent well published research has suggested that women who received acupuncture pre and post embryo transfer significantly increased their success rates. We believe this has to do with the effect that acupuncture has to relieve stress, aiding the body's positive hormone balances and potentially improving the receptivity for implantation. The garden analogy is often used when discussing fertility, which is absolutely appropriate, for germination depends on just the right balance of nutrients in the soil, a good balance of light and moisture, not too hot, not too cold... all the things we need for a good crop to grow. And the quality of the seeds is just as important as the receptive nourishment of the soil. Healthy plants will grow from healthy seeds. In Chinese medicine, we make our diagnosis in respect of the 'climate' and the internal condition. We call this the constitutional diagnosis. Our aim is to help clear stagnation and blockages, to supplement deficiencies, improving your nutritive uptake, and to balance the internal temperatures to create that nice incubatory climate to give the seeds a chance to germinate. AFN members understand how assisted conception (AC), such as IVF treatment, can be a stressful experience, emotionally as well as physically, which in itself may inhibit a successful outcome. We believe that acupuncture support during assisted conception may be very beneficial, helping to keep your body comfortable in the context of the effects of the drug therapy, and helping to keep you calm and relaxed throughout your assisted treatment. AFN practitioners are well versed in assisted protocols, we have all done post graduate training from a Western perspective, and we have a clear understanding of how to safely use acupuncture to support an assisted cycle. Our aim is to adjunct your assisted treatment, in every way working to help make it better. Throughout millennia Acupuncture has been understood to help by assisting the communication between all the systems of your physiology, and by assisting the communication between your mind/heart and your body: thus enhancing relief from stress. This can be a confusing diagnosis, often bringing a sense of frustration, as you are being told that although your fertility markers are all in normal range, you are still being told that this is infertility. In Chinese medicine we would perceive this as potentially showing sub-fertility. Everything is doing what it should, the hormone parameters are in normal function, the endometrium is looking healthy, the Fallopian tubes are clear, the sperms are in normal range - and yet, you are still NOT conceiving. We are here to help support the ways that you can improve your own fertility through adding in the wisdom of the Chinese diagnosis, and enhancing your health through improved diet and lifestyle. Over 40% of fertility issues are male factor. This is primarily due to the detrimental influences of modern lifestyle: the effects of sub-nutritional diet and/or poor eating habits (no breakfast, sandwich in front of the computer, eating large meals too late in the evening), not to mention the culture of overwork, long commutes and the constant overexposure to electromagnetic influence - laptops over the groin, mobile phones in trouser pockets, long days spent in front of the computer, wifi everywhere. Then of course there may be issues around excess alcohol and smoking. For all these reasons, and more, we are seeing ever decreasing sperm parameters. TCM can offer a great deal towards helping you improve your sperm parameters, not least for using the constitutional diagnosis to help guideline dietary and lifestyle advice to help countermand the detrimental influences of daily life. In the same way that Chinese Medicine may be helpful for menstrual regulation, it may potentially have a positive effect on the male uro-genital tract. - cleaning out the pipes! In TCM we use the Western sperm analysis to help determine the direction of the treatment. We look at the concentration (sperm count), the motility (how well they are moving), the morphology (how they are shaped), as well as the volume, pH and the viscosity, and in combination with the underlying constitutional diagnosis formulate a treatment plan to improve parameters. Chinese Herbs may be a very important part of this treatment plan. Most TCM practitioners treating menstrual issues will likely ask you to use BBT (Basal Body Temperature) charting. We use the pattern of the temperature changes to help us determine the diagnosis to inform which phase of the cycle needs attention and will determine your treatment plan. Bringing the menstrual cycle into optimum function is the Chinese medicine way of tending the garden. Delayed or no ovulation is the most common reason for cycle irregularities. This is often a hallmark of PCOS, though not all women who do have ovulatory issues will have PCOS. We will use the TCM diagnostic criteria of history, looking at the character of your periods since puberty, including your contraceptive and conception history, as well as any assisted treatment you may be having/had, all taken in the context of your medical history. Then in combination with your signs and symptoms (in particular, how your period is behaving now), and in combination with our Chinese diagnostics of pulse and tongue and palpation, we will determine how to treat you to improve ovulation. Some women find that when they come off of birth control, in particular the hormone control methods (pill, patch, injection, hormone coil) and in some cases after the unmedicated coil is removed, that their periods may change in character, that they may become irregular or in some cases do not resume at all. Sometimes the hormonal influence of birth control can adjust the Hypothalmic-Pituitary-Ovarian (HPO) axis, which is the feedback loop system that controls the release of your LH, FSH, oestrogens and progesterons, thus when the birth control is stopped the period does not easily resume. Many women have found TCM to be helpful in reinstating the menstrual cycle, and it may be especially helpful when there is annovulation subsequent to using hormonal birth control. Some women have primary annovulation (no periods ever) which will usually have been managed through pharmaceutical hormone treatment to create a functioning period. Primary annovulation will require assisted conception to provide the hormonal stimulation the body is not doing for itself. 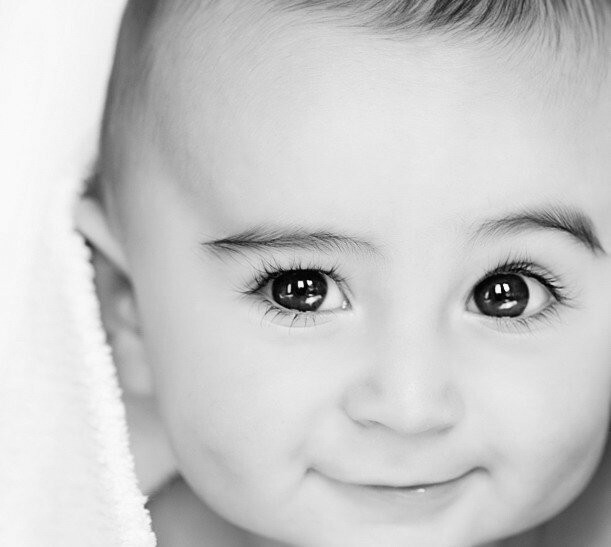 In these cases we highly recommend our Pre-conception treatments to adjunct your IVF treatment. Polycystic Ovarian Syndrome is a metabolic condition which can affect the the Hypothalmic-Pituitary-Ovarian (HPO) axis, and can very often have an inhibiting effect on ovulation, the common reason why women with PCOS may have difficulty conceiving. There is a direct link between insulin resistance and ovulatory issues, and for many women with PCOS, especially those with known fertility problems, understanding the importance of the influence of diet on ovulatory function – so necessary for conception! TCM has a comprehensive understanding for treatment of PCOS, and in combination with correct dietary advice according to TCM constitutional diagnosis, your treatment plan will be tailored to aid your body into regular periods. Both PCOS and Endometriosis are spectrum disorders. Each woman experiences this in a unique way. As TCM practitioners we endeavour to help you understand your profile of your condition and to help you find the right solutions. The TCM strategy for treating endometriosis is to bring relief from the discomforts and pain this condition may cause, by working to resolve the underlying condition through the use of acupuncture, herbs and moxibustion. In acupuncture treatment, understanding the history of the development of the condition is vital, and we will review your menstrual history, your contraception history, and any conception history. This will be in the context of your family history and any surgical history, or possible history of any genital infections. Diet can play a significant role in how you experience your endometriosis, and we will help you to match dietary guidelines to your constitutional diagnosis and to the understanding of the particular character of your endometriosis. Repeated miscarriage is a most distressing experience. It is important to understand that it is not appropriate to consider that this is a recurrent problem until there have been 3 miscarriages. This is because the recorded miscarriage rate is between 1 in 7, though estimates that include unreported miscarriage put it nearer to 1 in 5. What this translates as, is to recognise that miscarriage is a normal physiologic aspect of pregnancy - and has ever been thus - it's why we wait until 12 weeks to share the good news. The same is true of repeated failed IVF. It is not until there have been three unsuccessful attempts that it becomes appropriate to do further investigations. Through TCM diagnosis we can offer extra understanding of how your physiologic state, in respect of that garden analogy we spoke about at the top of this page. It may be a nutritive issue, there may be an underlying undiagnosed asymptomatic (no symptoms) STI or GUI (sexually transmitted disease / genito-urinary infection), it may be about the health of the endometrium, it may be an issue of too hot or too cold (something we can uniquely diagnose and treat). We wish to work closely with your western practitioners at this stage, as the investigations from that side can often enhance the picture of understanding. Sometimes it may be an immunilogical reason, a chromosomal issue, possibly an auto immune issue, or possibly a thrombophilic (blood clotting) issue. As with 'unexplained infertility' sometimes there is no obvious explanation or reasoning from the western medicine perspective. The Chinese diagnosis can be very helpful in these circumstances as it may offer a reasoning that is not included in the western lexicon. Equally, we are here to support you through whatever further treatment your western practitioners wish to prescribe. We understand the inherent sorrow of being able to conceive, yet not carry the pregnancy to term. Our wish is to support you through the sadness and grief of this difficult circumstance, offering you calm, supportive, strengthening nourishment for your body, for your heart, for your mind. Our practitioner members are here to support you in your fertility journey, and where ever possible use our TCM skills to enhance your fertility, to enhance your well being and to enhance your peace of mind.